Today, the utility sector is establishing to be one of the innovative sector to use emerging, cutting-edge technologies like automation, AI and advanced analytics. Digital technologies and Big data are opening up new possibilities and driving efficiencies, playing a crucial role in creating the impact on economics, people and the environment. 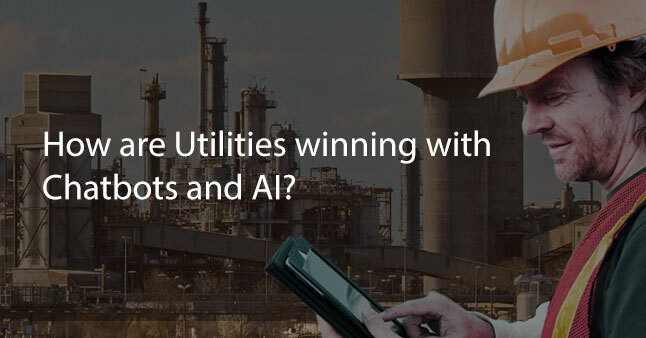 Broader AI implementations guarantee the utility sector to discover the data gold-mine, facilitating them to satisfy business needs in the long run. Consumer expectations, aging infrastructure, disruptive technologies etc. are in alliance to challenge the utility industry at large. As per IDC, till 2017, 45% of the utility sector have invested in AI analytics. Energy & Utilities have SCADA systems that store enormous volumes of data. Also, the customer & smart data from large number of Water, Electricity & Gas meters gets stored in ERP/CRM systems and multiple MDMs. However, it becomes increasingly difficult for utilities to manage such a multitude of data systems, which doesn’t allow one view of the data. Making this practically impossible to perform Energy analytics for distribution management, operational intelligence, outage management, and predictive intelligence to create awareness and enforce energy conservation. AI technologies, such as machine learning and predictive analytics, help watch a huge number of parameters to detect anomalies/irregularities and automatically heal systems. It can help avoid an absolute infrastructure disaster. Also, AI will help to increase the economic efficiency of utilities, which is one of the crucial elements of sustainability. The analysis of grid performance data feed can help utility enterprises to assess component life and raise flags whenever machine maintenance is required. Similarly, Chatbots can help offer 24/7 customer support to answer the questions of consumers and provides insights to quickly solve their problems; thereby improving customer experience and lowering costs. US based Water utility companies are utilizing Smart Analytics solution, developed by data analytics experts at Saviant, and are saving billions of gallons of water every year. Utilities can now extract business intelligence from the large amount of data collected through IoT driven Smart Meters. Using the system, they can monitor the health of field assets and execute predictive & proactive maintenance of infrastructure. Read the story. Embedding 100% AI capabilities in this sector are predicted to be ground-breaking; the catalyst which will help utility stakeholders reimagine their entire business model in order to achieve more productivity and efficiency. San Diego Gas & Electric serves 20 million Americans through their complex & vast infrastructure. The company was facing a daunting problem of power leakage in their complex grid layout resulting in unhappy customers and mounting revenue losses. The process of sending technical staff each time to discover a problem was getting tedious and expensive. Here is when they decided to incorporate AI capabilities to try and instantly resolve the problem. Machine Learning was used to capture and analyze data-sets resulting out of their grids to pinpoint the exact issue helping solve outage problems quickly without investing a lot of time or manpower resulting in customer satisfaction and brand value retention. Exelon, that provides electricity and natural gas to 10 million Americans across Illinois and the East Coast was experiencing a large customer churn. Exelon's consumers complained that they had a hard time accessing their utility information. AI succeeded here when Exelon decided to partner with Oracle to cater to their consumer base by developing a channel agnostic Chatbot that allows the customer to ask a variety of questions on a channel of their choice and access information on utility issues like outages and bills. Exelon has lesser churn now and has deeper insights into their consumer needs. Enterprise chatbots are increasingly boosting customer interaction & managing to keep costs down owing to decrease in manpower costs. Estimation is that chatbots will explode the global market with over US $1.9Bn by 2020 and expected to clock a CAGR of over 30% by next decade. Read the story. What does the future look like with AI & Chatbots for Utilities? The future will see AI implementations in almost the entire operating mechanism of the utility sector, reducing costs and increasing optimization and efficiency. Chatbots will be instrumental in product development and customer care. This industry will see newer ways to convert AI capabilities in emerging business domains. Utilities will be able to offer products as a service helping them in achieving product autonomy. This is critical because currently, third parties are coming up with piggyback products by using existing utility services. According to U.S. Department of labor, half of the utility workforce will retire in the next 10 years and as such AI will establish itself to create newer job roles for younger employees and automate processes. AI & Chatbot capabilities will help the utility sector spearhead the global revenue stream.